Fantails are small birds, ranging from the yellow-bellied fantail at 5.5 in (15 cm) and 0.2 oz (6 g), to the larger willie wagtail at 8.5 in (21.5 cm) and 0.9 oz (25 g). 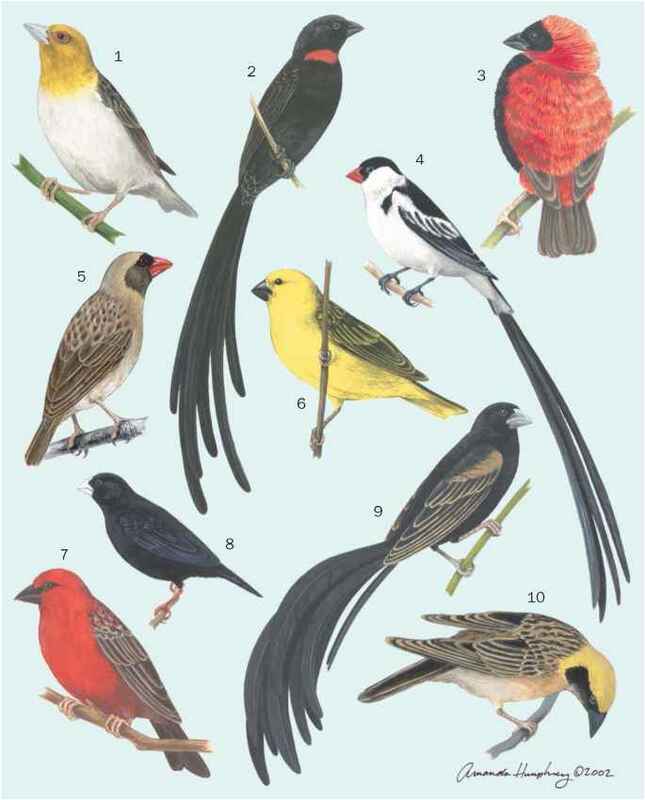 The obvious feature of this family, from which the group name is derived, is the distinctive long, rounded, fan-shaped tail, which may represent 50% or more of a bird's total length. Fantails also have the flat, triangular bill characteristic of many aerial insectivores. The bill is surrounded by rictal bristles, in an unusual double row arrangement. With the exception of the more terrestrial species, fantails have short tarsi and small feet. The wings are rather rounded, sacrificing speed but allowing a highly maneuverable, usually very buoyant flight. Fantails are generally not brightly plumaged, with the major colors being brown, rufous, white, gray, or black, or a combination of these. This generalization breaks down along the northwestern and western periphery of the family's distribution, where two species have large amounts of blue in the plumage and another one, yellow. The overall color of many species is muted or drab, but a few species, such as the black-and-cinnamon fantail (R. nigrocinnamomea), have boldly contrasting colors. Males and females rarely exhibit dimorphism in their plumage; an exception is the black fantail (R. atra) of New Guinea, with black males and rufous females. The New Guinea dimorphic fantail (R. brachyrhyncha) also has two color phases: a dark one in which the tail is black and rufous, and a light phase with a light gray tail. Young fantails look like adults with washed-out colors and rusty edges to some feathers, particularly the wing coverts. Widespread species, particularly those that are found over a number of islands, show marked plumage variation among the populations.